1. Combine tea and 1 1/4 cups boiling water in a heatproof bowl. Let steep 5 minutes, then strain through a fine-mesh sieve into a measuring glass (you should have 1 cup). Let cool. Meanwhile, bring honey, thyme, 2 rosemary sprigs, and 1/2 cup water to a gentle simmer over medium heat, stirring to combine. Let cool; discard herbs. Both syrup and tea may be covered and chilled for up to 3 days! 2. 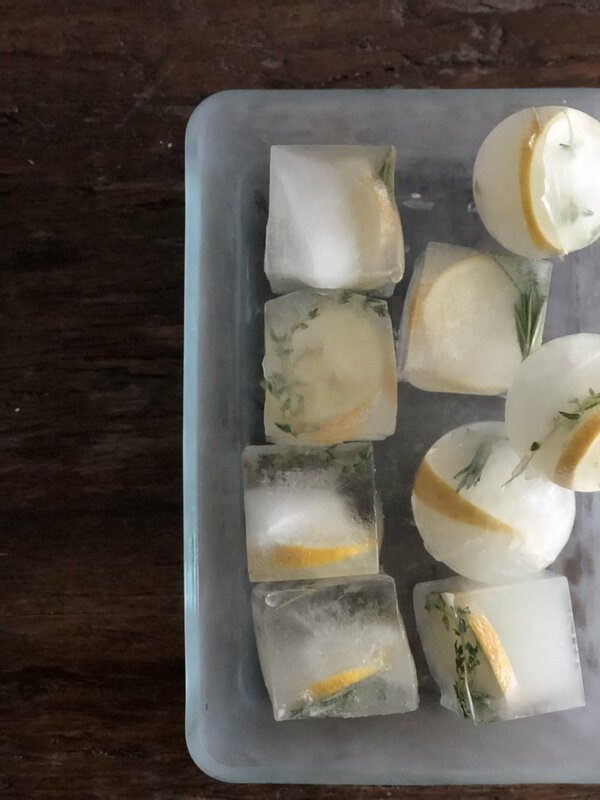 Meanwhile, place lemon slices and a sprig of fresh herb in each square of a cocktail ice cube tray. Fill with water and freeze. 3. Combine tea, honey syrup, lemon juice, bourbon, Cognac, and bitters in a large pitcher or punch bowl. Chill up to one day in advance. 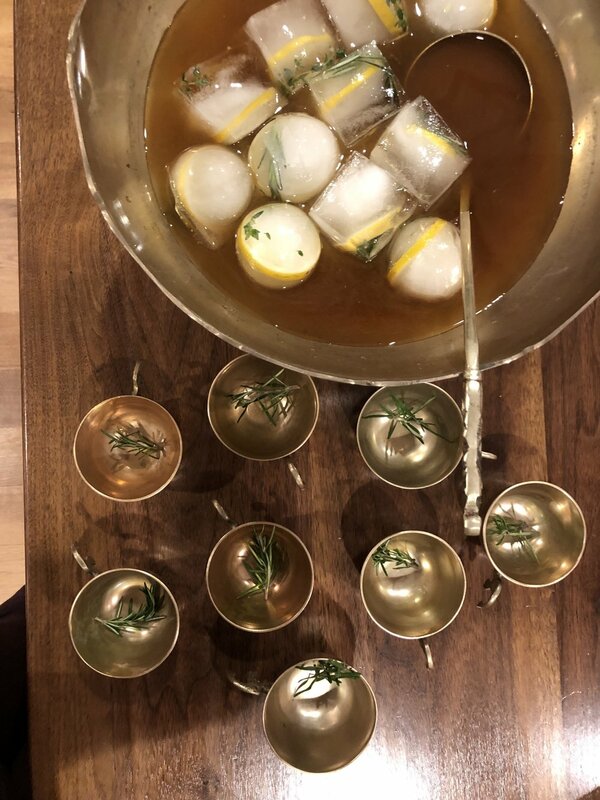 Serve over fancy ice cubes. It’s hard to believe fall is already arriving! To transition, I’ve begun incorporating fall-hued ingredients with subtlety such as golds and yellows in my dishes, apples versus berries in my cocktails, and roasting versus grilling for warmth. Who's ready for Cinco de Mayo and summer time? While white wine sangria addictive this time of year, Alex's and my recent trip to Mexico inspired the shift into a sangria-weighted margarita. Herbal, bubbly, refreshing and just the right amount of sweet, the cocktail embodies the refreshing entry of spring with every sip. Join me in cheers-ing to the new season! Let's be honest; when it comes to "pink," the first word that comes to my mind is "rosé." The trend that--let's be real-- isn't going anywhere anytime soon, rosé symbolizes the perfect unifier for gatherings of all occasions and, especially in this case, for Galentine's Day. When it comes to choosing one dish or one drink choice at a restaurant, I struggle to make the right choice. 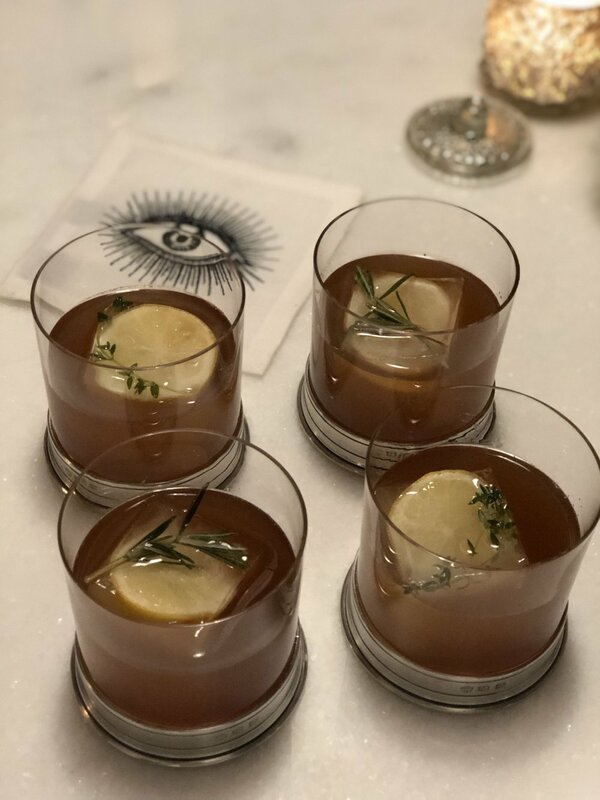 I always opt for group gatherings and shared plates to allow myself to taste and try a variety rather than confine myself to one flavor profile or texture. You can therefore imagine why I become giddy when seeing a beer flight option on tap room menus!